Syrian War Report – Dec. 3, 2018: Syrian Military Deploys Troops, Battle Tanks Near Idlib 4.9230769230769 out of 5 based on 13 ratings. 13 user reviews. Syria’s SANA news agency reported that the SAA tracked militant movements in the southern parts of Latimineh city and conducted concentrated strikes on them while they were attempting to infiltrate the military posts around al-Zalaqiyat village. Furthermore, an army unit in the area surrounding al-Hamamiyat village shelled another group of militants while they were attempting to infiltrate from the surroundings of al-Jaisat and Tal al-Sakhir. In Deir Ezzor, the Syrian Democratic Forces (SDF) efforts against ISIS are also on-going with mixed success. On November 30th, the SDF Media center reported that Abu Awayd, a close aide of ISIS leader Abu Bakr al-Baghdadi was captured. The SDF also announced that its forces evacuated dozens of civilians from the ISIS-held pocket in the middle Euphrates River Valley during a successful special operation. Last weekend, SDF claimed that they repelled an attack by ISIS on positions in eastern Deir Ezzor. US-led coalition warplanes supported SDF fighters during the clashes and conducted 34 airstrikes on positions, vehicles and gatherings of ISIS. Reportedly 33 militants were killed as a result of the clashes. During the last week, ISIS carried out several attacks on the SDF confirming by actions that the terrorist group is still relatively strong on the eastern bank of the Euphrates River in this part of Syria. 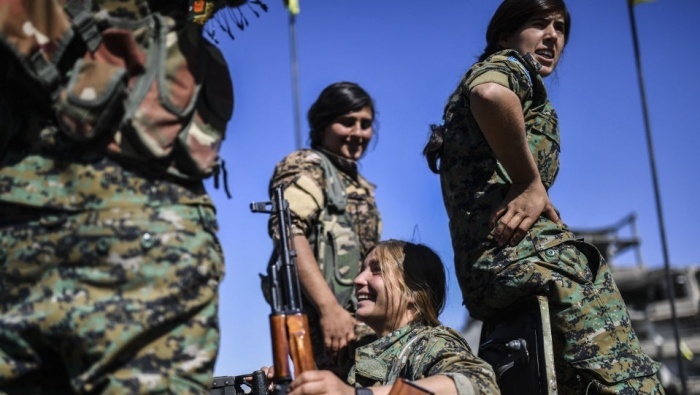 Fighters of the Kurdish People’s Protection Units (YPG), SDF’s core, launched a hit and run attack on positions of the Turkish-backed Free Syrian Army (FSA) in the town of Ablah, near Aleppo. On November 30th, the Iraqi National Intelligence Service (INIS) reported that its agents had arrested Jamal Khalil Taha Znad Mashhadani, another prominent commander of ISIS during a special operation in Baghdad. On December 9th, 2017 Iraq announced the defeat of ISIS in the country. However, since then there have been continuous operations to hunt commanders and remaining ISIS elements and sleeper cells in the country. I hope Turkey (Erdogan) has not the capacity to convince Russia (Putin) of having Idlib as a safe heaven for terrorists, as it was happening with the actual Russia-Turkey agreement. Wars such as this are as convoluted as the 100 Years War in Europe due to the myriad of factions whose loyalty’s are very fluid. Hey, Florian, I prefer the reverse of the saying: Rome was not destroyed in a day. Depends on your perspective. The actual sacking by the Vandals didn’t take very long. But yeah, it took hundreds of years for Rome’s upper classes to undermine the foundations of Roman power by hogging all the loot. With modern technology everything seems to move faster now, though. that was then my friend. Times have changed. Beside the fact that this mess is been going on for longer than a century. With technology and every one becoming aware of what is happening to them due to internet things are accelerating. Yes , a linked up world has and continues to speed up change, for good or worse. That’s an fairy tale, all that bla, bla, bla about the pretense hesitations of Putin (Russia) in Syria, in fact, it’s nothing more than desinformation of the Coalition of Terror’s intelligence. Pity that a lot of people take it seriously, but what can one do? Well, the dogs bark and the caravan goes by. DaeshDaily.com has this from last week [in Arabic]. Oddly enough, the English version of Qasaioun has no such article. Thank goodness for the Google/CIA translate feature. I wonder what it really says? A report by the Turkish newspaper Yeni Shafak revealed that military officials from Saudi Arabia and the UAE held a meeting with “leaders of PYD, the Syrian arm of the PKK terrorist organization” She added: «The meeting was held in the area of ​​Ain Issa, the town of Tel-white in the province of Raqqa, northeast of Soya, this week». She added that the meeting coincided with statements by Saudi Foreign Minister Adel Jubeir, in which he announced his country’s support for the PYD for $ 100 million, in the framework of cooperation between his country and the UAE on the one hand, and the United States of America on the other, in the north of Syria. The Saudis and UAE are now supporting the PYD against the Turkish armed forces? Yeah… that should work out just fine for them. Unlike the Houthis, the Turks have plenty of aircraft that can reach Riyadh and/or Abu Dhabi and be back for afternoon tea. In fact, the Turks have a base in Qatar, don’t they? Good luck, Saudi knuckleheads! They are only doing what the US tells them to do. In less than 5 years Kurdistan will have the strongest army in the Middle East. Turkey on the other hand will look a lot more like Syria. The Kurdistan Region of Iraq will leave Iraq and become the second province of Kurdistan while expanding it’s borders to include all Kurdish areas of Iraq. The Kurdish revolt in Iran will be the next shoe to drop after Turkey becomes the next Syria. Yeah, sure… but the Kurds need to do much better than last time they encountered the Iraqi army, after Netanyahu egged them on and then failed to offer support. The only thing Pissrael’s good at is dropping bombs on women and children in Gaza. You do realize the US told them to stand down last time? About time the Russia-Syria-Iran coalition left their coffee shops and started fighting. Remember when they promised to eliminate ISIS? How about when they promised to eliminate al Safa ISIS? As reported here on SF their promise to eliminate al Safa ISIS ended with them resupplying al Safa ISIS with at least 4 truckloads of food, drugs, money, ammunition and arms. Then they refused to fight them claiming the weather was not good enough. The next week they just let ISIS go after having them surrounded for almost a year. We must all pray that the Russia coalition, after refusing to fight ISIS, decides to do something besides hide in their coffee shops. I will believe their promise to eliminate HTS when I see it… we need to see the captured and killed HTS fighters before believing their false promises. For Heavens sake how many time have the cowards moved tanks, heavy weapons and troops to fight for Idlib… 4, 5, ? Yet the fight never comes while the terrorists keep getting stronger. It is so bad now that the terrorists are trying to take more territory. For true cowards, go to your Tel Aviv coffee shop, or look in the mirror. Can we agree to judge Russia-Syria-Iran coalition by their results and not their words? If so why have they stopped fighting ISIS? And why do they keep claiming to get ready to fight Erdogan’s Terrorists but always retreat like cowards? Want to end the Syrian War? 2. Work with Kurds to eliminate Erdogan’s terrorists. 3. Work with Kurds to move Erdogan back to Turkey. 4. Move Iranians back to Iran. 5. Throw Kurds a bone with a little autonomy to protect their own land women and children. Assad is fast becoming a hero figure for me, he’s just so clever. I posted about this the other day but I will again just to show everyone why he’s fast becoming my hero. There were about 20,000+ FSA in Daraa and Quneitra, most of them are in the SAA and stationed around Idlib with the rest of the troops now. Apart from the FSA there were other Arab militias that were conscripted to do the same and some of them are there too. Can anybody guess who will be sent in first when the fighting actually does start, I can. Assad will be using the terrorists to punish the terrorists, how clever is that, pure genius. Last time he tried it failed, hundreds of ex FSA fighters tried to escape back to their friends instead of fighting them, hundreds of them were killed trying. I said straight after the Daraa campaign it would be a big mistake if Assad sent them to Idlib, and I was proven right. But it’s different this time, this time they’re not fighting their friends, they’re fighting their new enemies, they can’t switch sides easily any more. But even better still, who really ever wants to join a losing side, no one does, especially if they know the other side is just about to be annihilated. He is my Hero. Good luck my Friends,i wish you all the best.